In English lessons, we are learning all about suspense stories. 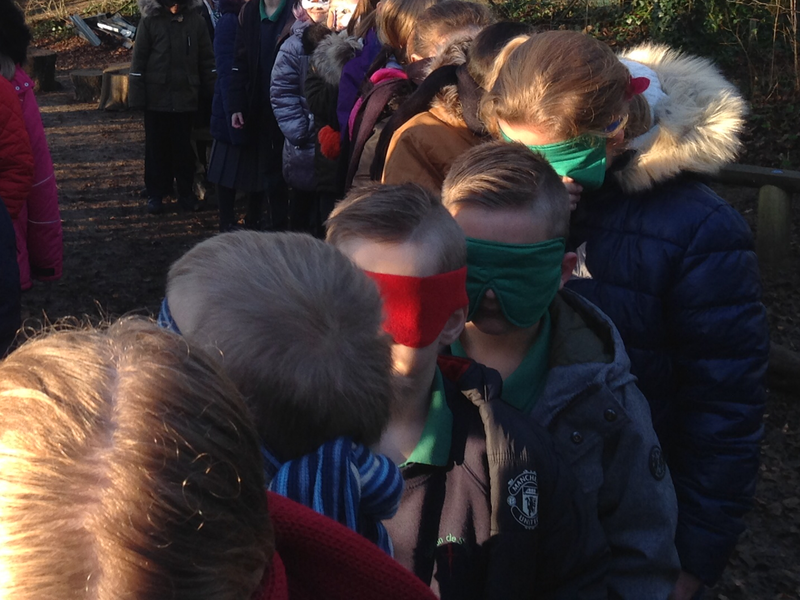 To help us feel suspense, we went out of the classroom blindfolded and (unbeknown to us) stopped in the woods. We waited for something to happen but all we could hear at first was silence! After a while, we could feel something brushing past us, whispering voices and parts of our coats being tugged. Suddenly we heard a blood-curdling scream and a clash of cymbals! 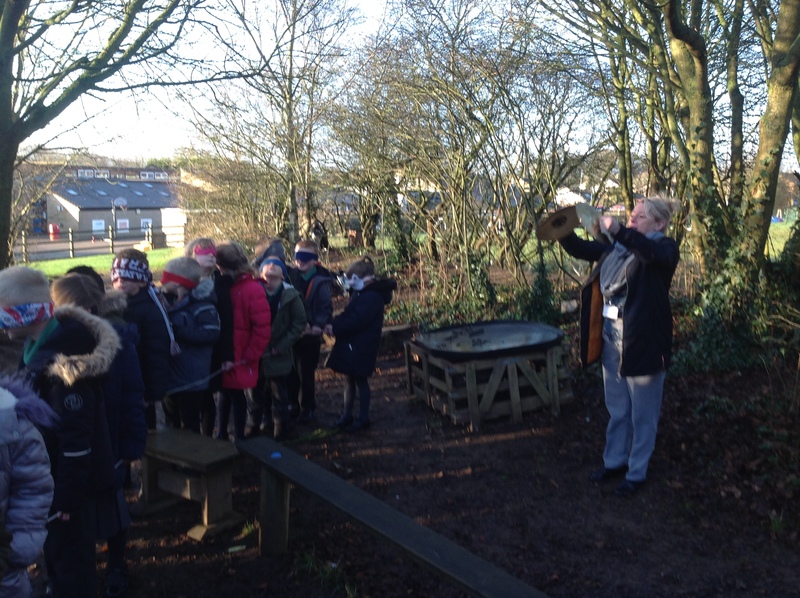 Back in the classroom, we came up with lots of ideas for our emotions and thoughts we had whilst feeling that suspense in the woods.